Some requisitioning systems offer the ability to PunchOut to a vendor's website; but PunchOut is only a small part of having a B2B (business to business) integrated system. Point Purchasing, in addition to PunchOut, offers B2B integrated Purchase Orders, Order Confirmations, and Vendor Bills -- the full circle of the ordering process. Point Purchasing implements cXML technology, an open standard. Through Point Purchasing, suppliers can securely receive, process, and transmit B2B documents minimizing the expense and manual effort required to manage orders. Point Purchasing enables suppliers to automate and streamline the order fulfillment process to help ensure that products and services meet customers' requirements, including quantity, time of delivery, and shipping method. Suppliers can send real-time status updates and shipping information to buyers, thus preventing possible returns/disputes in the future. After a PO has been fulfilled, vendors can transmit an electronic invoice to Point Purchasing. Let Point Purchasing automate the reconcilliation process with a three-way match between PO, packing-slip, and invoice. Point Purchasing can be configured to allow varying levels of strictness regarding price overages. Increase inventory turns and reduce cost of inventory coverage resulting from integrated ordering efficiencies. B2B transactions make it easy for suppliers to quickly generate invoices based directly on Purchase Order information, helping to ensure rapid payment and fewer invoice disputes. Allows buyers to easily access supplier online catalogs - ideal for ever-changing catalogs or catalogs that must be customized for each buyer. Point Purchasing PunchOut streamlines the purchasing processes while providing a cost-effective way for suppliers to maintain their own unique content. Suppliers can use their existing eCommerce web infrastructure to provide custom content to individual buyers. Suppliers can maintain product information to ensure accurate content, including inventory and pricing. Point Purchasing PunchOut is a low-cost way to offer customized content to many buyers, providing economies of scale, enhanced buyer shopping sessions, and reduced customer support costs. Purchasing Agents may elect to send orders as integrated, reducing time spent on the phone confirming orders and delivery information. In addition, end users may place Direct To Vendor Orders (DTVO) to further expedite this process. Reduce manual input errors for increased order accuracy. Suppliers are able to turnaround orders quickly and accurately as a result of receiving integrated orders. Purchasing agents no longer need to manage catalog content. Access supplier catalogs online and in real time. Visibility to product information such as price, availability, description and more. Receive company specific pricing if applicable. Electronic status reports alert buyers on issues early in the procurement process, reducing item returns and disputes. Improvements in historical tracking due to increased order accuracy. Increase possibility for enhanced collaboration with supplier to improve demand forecasting. Significantly reduce item returns, improve invoice matching, improve PO data for accounting integration, reduce manual processes for entering data at all steps in the procurement process. 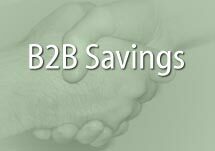 For more information on how you can utilize Point Purchasing's B2B capabilities to save time and money, please CONTACT US. Suppliers - Increase web traffic and save costs by participating in our Certified Supplier Program.